ServiceMaster of Cape Breton uses cleaning methods and products that have been tested and refined over our over 65 years in the commercial cleaning business. We can provide a commercial carpet cleaning program that is right for your business, and your budget. 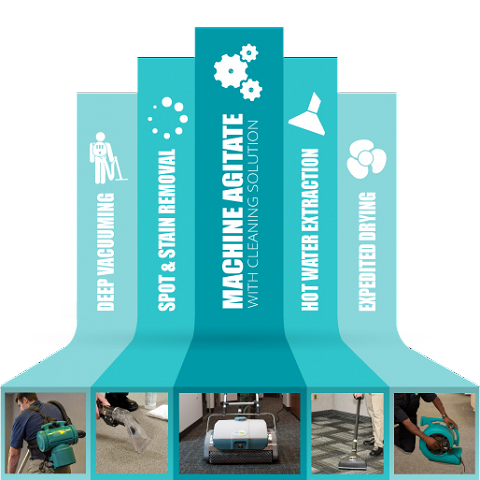 ServiceMaster has been providing customer satisfaction in the commercial carpet cleaning industry for over 65 years. Our outstanding reputation is due largely to our full commitment to quality and exceeding our customer’s service expectations. How long will the restoration project take? Depending on the scope of the project and the amount of damage to your home and its contents, the restoration process may require several phases before completion. A thorough evaluation and assessment of all damage will be done before the estimate of a completion date can be established. Through it all, your ServiceMaster Restore Project Manager will communicate details to you and your Insurance Provider clearly and effectively, to make the process seamless.